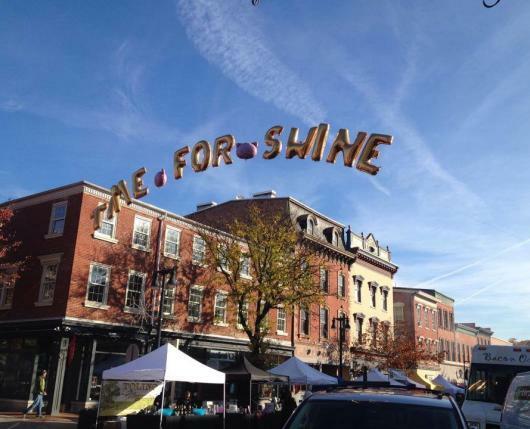 Located in historic Easton, the PA Bacon Fest has grown into one of the region’s most popular events. With 150+ vendors, 12+ musical acts, and several stages, the two-day festival attracts nearly 100,000 attendees. PA Bacon Fest is typically hosted the first Saturday and Sunday of November. The event has received national recognition, being named one of the Top 300 Festivals in the world by FEST300.com. 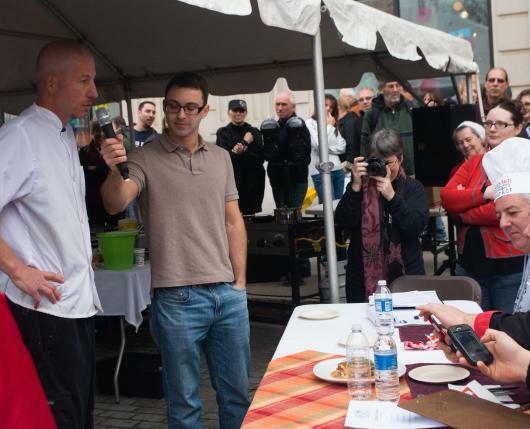 Regionally, PA Bacon Fest has received a Townie Award from Pennsylvania Downtown Center. And locally, the event was voted Best Culinary Event in Lehigh Valley Style magazine’s Best of the Lehigh Valley contest. Explore the streets of downtown Easton where you’ll find countless bacon-centric offerings including decadent mac & cheeses, savory maple bacon cupcakes, loaded bloody marys, and more. 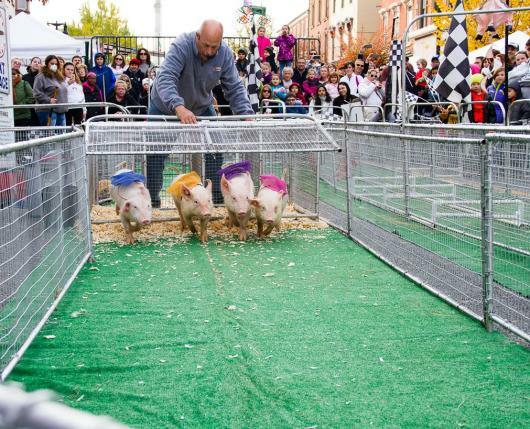 Cheer for your favorite pig or pooch as part of the annual Pig and Wiener Dog Races, hosted at times throughout the day on the hour. Sample pairings of bacon and beers with Weyerbacher Brewing Company. Sample eight strips of bacon each paired with a delicious craft beer. For information on parking, click here. Visitors are encouraged to use off-site parking lots with shuttle service to and from the festival. 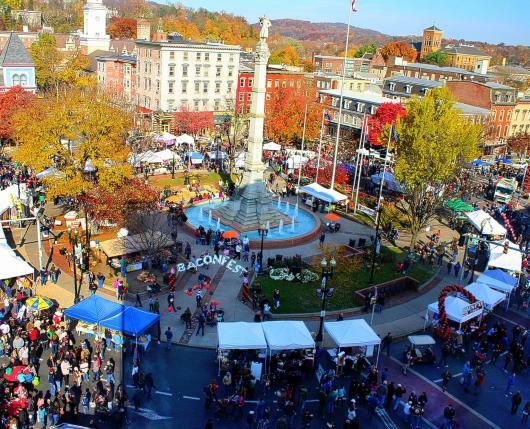 While admission to the festival is free, suggested donations of $2 benefit the Greater Easton Development Partnership and the Easton Farmers’ Market, Easton Public Market, Easton Ambassadors, and the Easton Main Street Initiative.